Season 2 checks all the boxes! Season 1 has ended and we’re excited to bring you the amazing changes in Season 2 (January 17th) announced in the January Producer’s Letter, including going fully free to play! Now you can earn Freelancers by playing. While some of you may have heard about this in our Friday Livestream, here is where you’ll find the juicy details. Let’s check out what Season 2 has to offer! 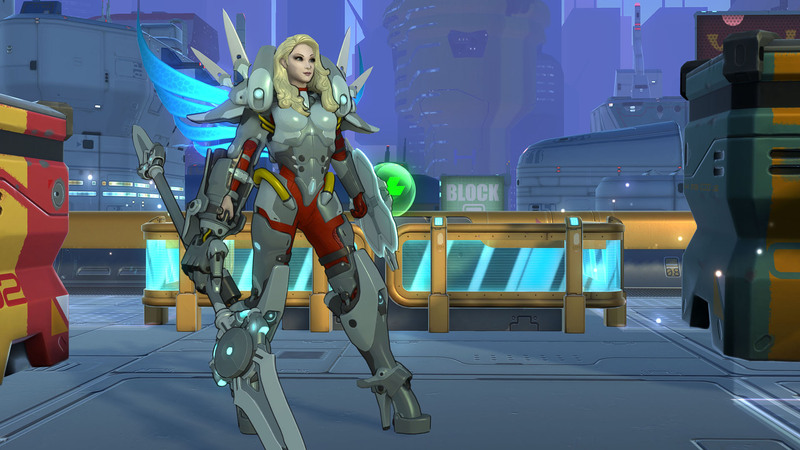 Brynn, The Skywarden, our newest Frontliner, helps make Season 2 a smash hit, and the story arc from chapter to chapter will also bring new temporary game modes, starting with the “All-Random” Freelancer battles. Another Freelancers will be joining the fray mid-season, along with another map, but more to come on that in the future. 1) Freelancers – Find your favorite character, or master them all! 2) Mod Tokens – Define your own play style by equipping the perfect loadout. 4) Additional Loadout Slots (Coming Soon!) – Save and select your mod setup for the perfect situation. Being able to earn and unlock individual Freelancers was one of the most requested features we heard from the community. Players will also be able to purchase individual Freelancers – Prices will range from $2.99 to $7.49. The “All Freelancer”, “All Freelancer Pro”, and “Ultimate Reactor” packs will still be available if you’re looking to grab all Freelancers, current and future, in one go. If you purchase one of these packs, you will get ISO for each Freelancer you already own, speeding up your ability to grab your favorite cosmetics! The competitive community for Atlas Reactor has been an incredibly passionate group of people, so we want to bring that experience to everyone. All players will now have access to the Ranked queues provided they’ve unlocked a minimum of 10 Freelancers and played 50 pvp matches. For all you completionists out there, we’re also introducing the “Roster Bonus” – a bonus to XP earned from playing. It’s based on the percentage of the Freelancer pool you own. Players who have purchased any of the packs will always get 100% of the Roster Bonus, while a player who owns 5 out of 25 freelancers would receive a 20% bonus. 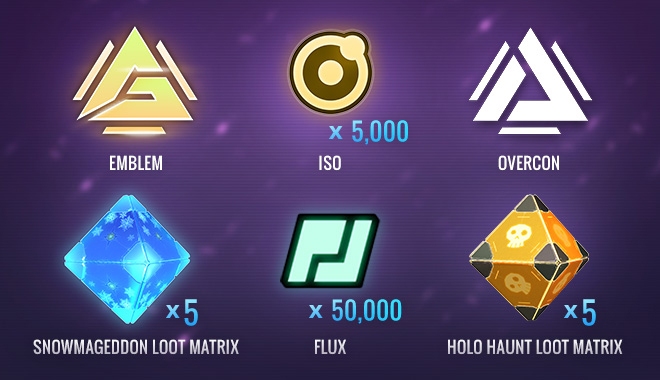 1) 50,000 Flux – Enough to purchase 2 Master Skins! We’re incredibly appreciative of your support you all have shown this game and the team behind it, not to mention just how fantastic you are to each other! Going fully free to play makes Atlas Reactor a more accessible game, so we’ve also updated our tutorial to help new players get up to speed faster. We’re dedicated to bringing this community a fun, and deeply satisfying strategic experience. Enjoy Season 2! If you’re already signed up, you can download Atlas Reactor here. For all the latest Atlas Reactor news make sure to follow us on Twitter, Facebook, and come discuss the state of the game in our Forums. Don’t forget to tell your friends and get awesome RAF Rewards!